Kin Omar Makaran, Head of News at the Somali Cable TV. The very first leadership programme for Somali women journalists has been launched by IMS-Fojo Somalia and partners. 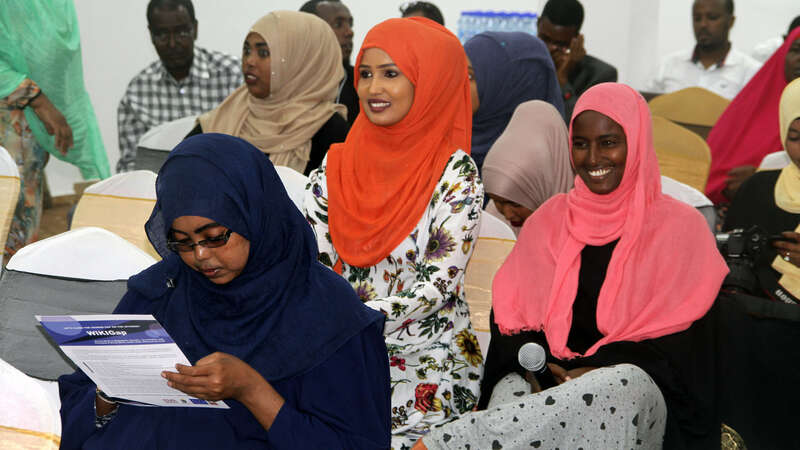 The eleven Women in News Somali participants were thrilled after creating a career roadmap, networking with colleagues from the Somali regions and Kenya, and taking part in management and leadership training to advance their careers. “It is a programme that has totally changed the way that I view my career, as I have a roadmap now. I have benefitted a lot form the WIN programme which will form the foundation for the development of my career”, said Kin Omar Makaran, Head of News at the Somali Cable TV. 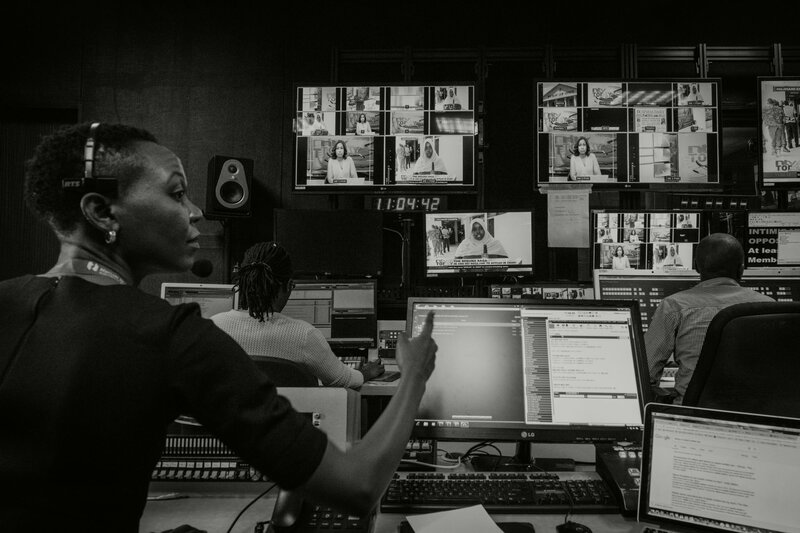 The Women in News programme exists in altogether 13 countries, and this was the first time it was brought to the Somali regions. As part of the programme, the participants benefit from individual career coaching, leadership and management training, networking, the creation of a career roadmap as well as study tours to media houses at home and abroad. 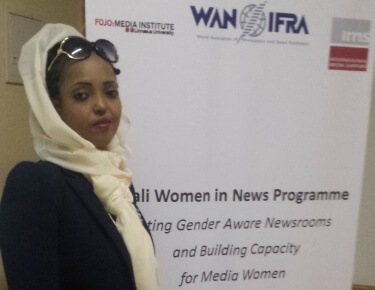 Somali women journalists face boundless challenges, from murder and death threats to an of hurdles in the workplace. 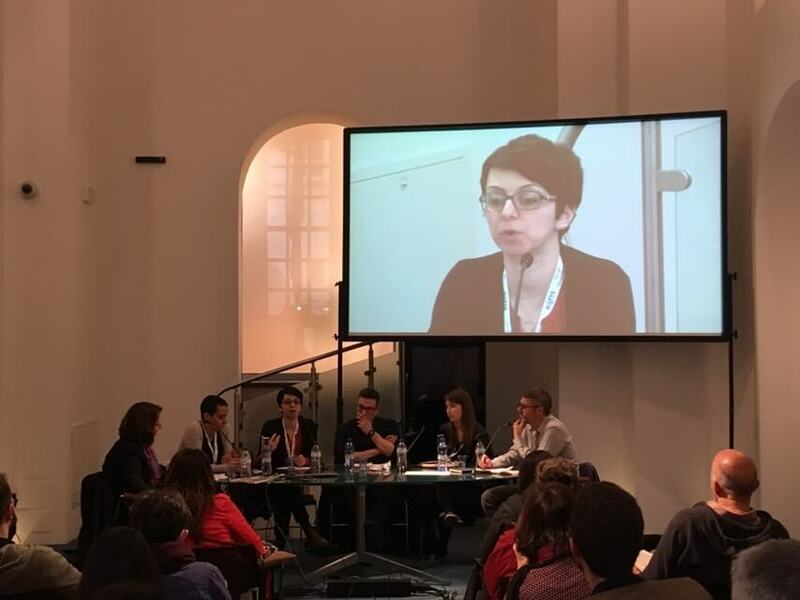 Progressing professionally remains difficult, and WIN aims to equip participants with the skills and tools to reach higher positions and create lasting change for women working in media. Sagal Mustafe Hassan, Program Producer, Reporter & News Anchor at Universal TV. The WIN Somali participants will meet on two more occasions in the coming months to continue on the path they have embarked on as part of the WIN Somali programme. “I am very happy to take part in this program as it has improved my knowledge in terms of highlighting many things that I didn’t know. 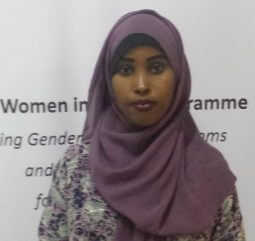 I have also glad to get an opportunity to learn from people with huge experience in media management.” said Sagal Mustafe Hassan, Program Producer, Reporter & News Anchor at Universal TV. 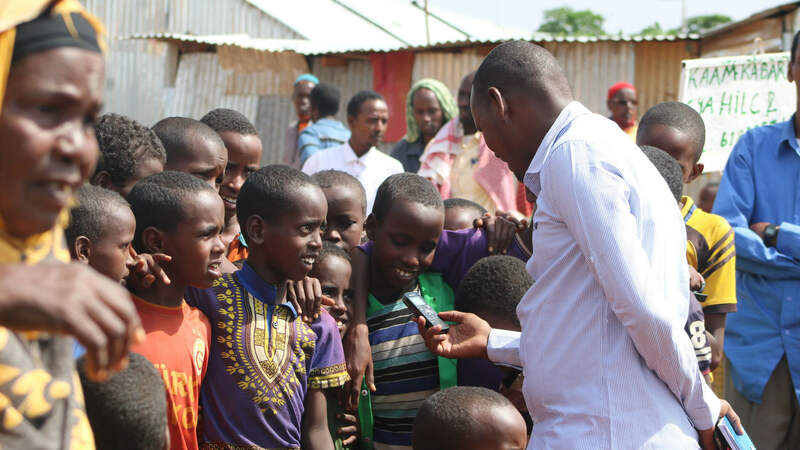 The WIN Somali programme is a joint project developed under the ‘Strengthening Somali Media Programme’ by International Media Support (IMS) and the Fojo Media Institute (Fojo) in collaboration with the World Association of Newspaper and News Publishers (WAN-IFRA). Click here for the Somali programme Facebook page. Improving working conditions and safety for women working in media is part and parcel of much of IMS’ work.